The Nairobi County Assembly Majority Leader is required by EACC to explain the chaos that erupted over the impeachment of County Speaker Beatrice Elachi. In a summon letter issued on Tuesday, the Ethics and Anti-Corruption Commission (EACC) asked Mr. Ibrahim Abdi Hassan to appear at the Integrity Centre in Nairobi today at 10 am. 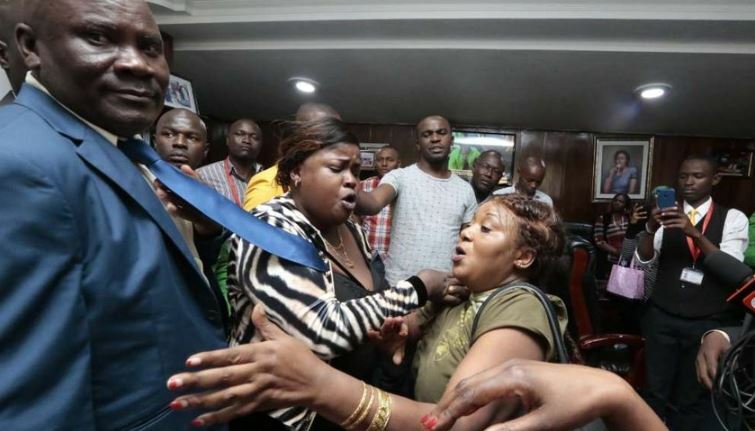 EACC is investigating allegations of unethical conduct at the county assembly premises by a section of Nairobi MCAs who stormed Speaker Beatrice Elachi’s office on Monday in a bid to eject her. “The commission would like you to respond to these allegations and record a statement regarding the same. Failure to comply with this notice shall render you liable to penal consequences,” reads part of the letter. Elachi, who was impeached on Thursday last week, reported to work on Monday after the labour court extended conservatory orders against the impeachment to Friday this week. This prompted the MCAs to storm her office as they tried to forcefully kick Elachi out of her office.